It’s that time a year again when you need to get all your receipts and paperwork ready for Tax Time! 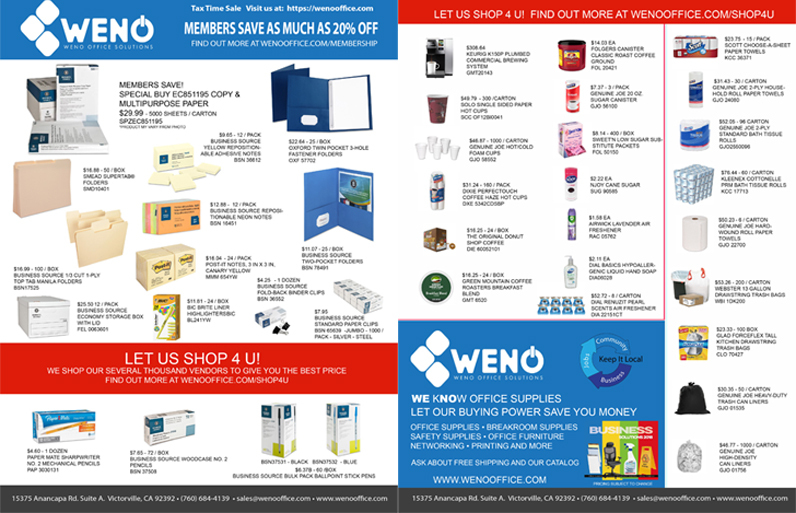 Let WENO Office Solutions help with our great savings on the products you need most during this time of sorting and searching. Download our flyer with some of the most popular items like folders, binder clips and boxes for file storage boxes. Maybe you just need paper and we have a great price on paper! Become a member and save even more on over 100,000 products, office furniture, and supplies you need most. Members receive free local shipping with any $35 purchase or more. Previous Post WENO sells Nitrile Gloves at a great price. Next Post Is your POS Safe?